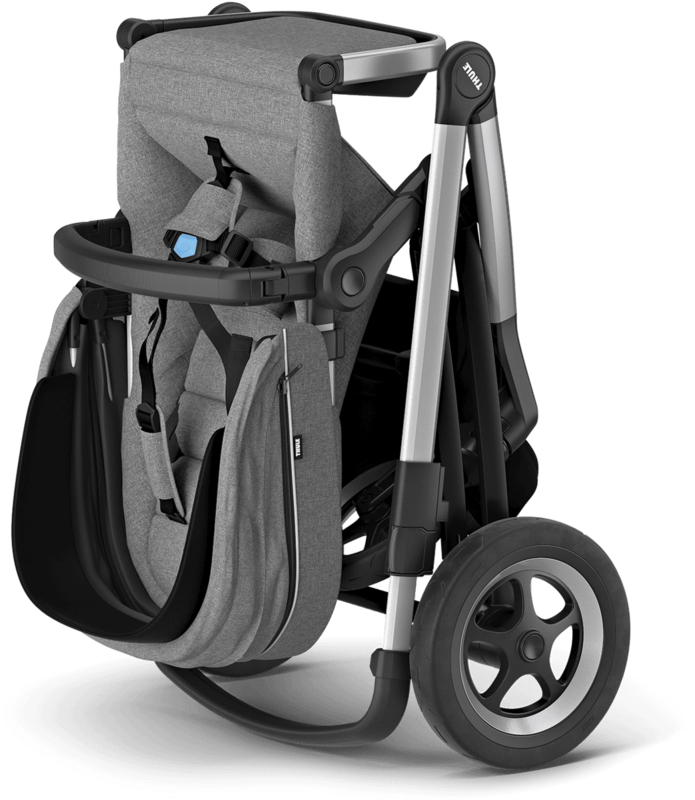 The Sleek stroller grows with your child and family with the addition of a sibling seat, infant car seat or bassinet. 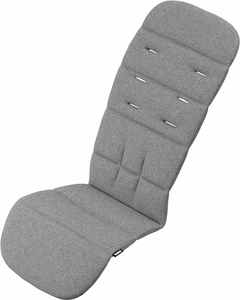 Reclining seat in three positions for great comfort in sleeping, resting, and upright positions. 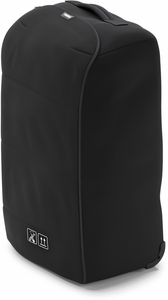 Large cargo basket with zip-top cover that allows you to bring everything you need. 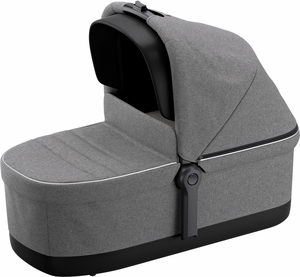 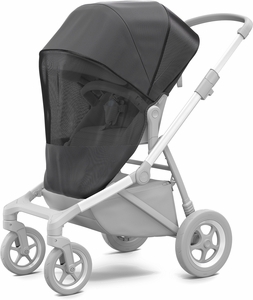 Ventilated canopy with peekaboo window and extendable sun visor gives your child a pleasant ride in any weather and provides UV protection (UPF 50+). 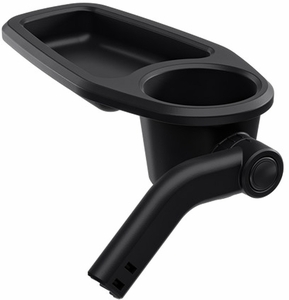 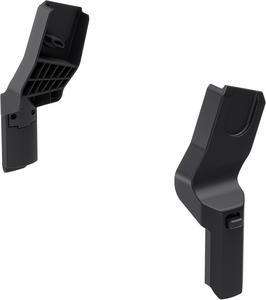 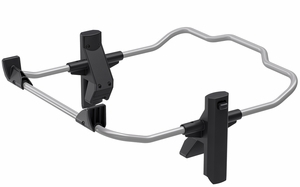 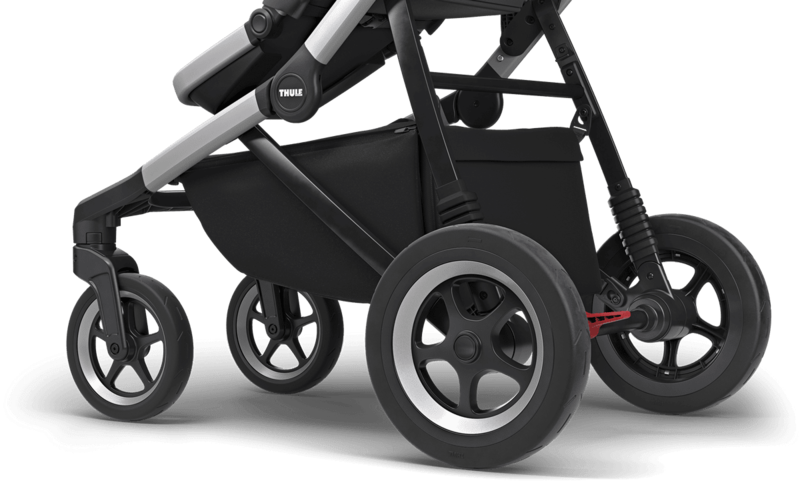 Adjustable handlebar height for a perfect fit for every parent. 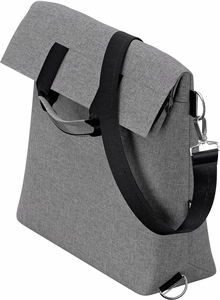 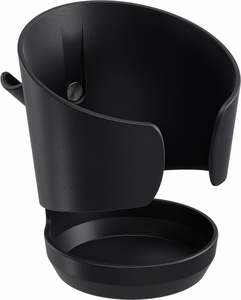 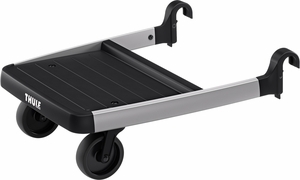 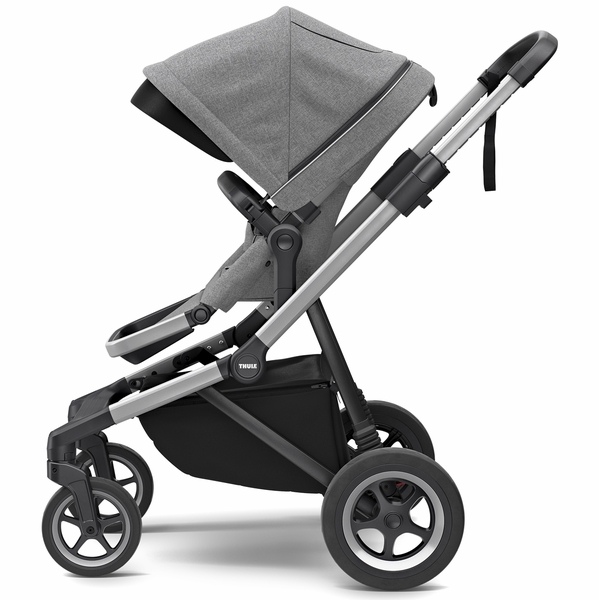 The Sleek features a simple, compact fold with auto lock, with or without the seat mounted. 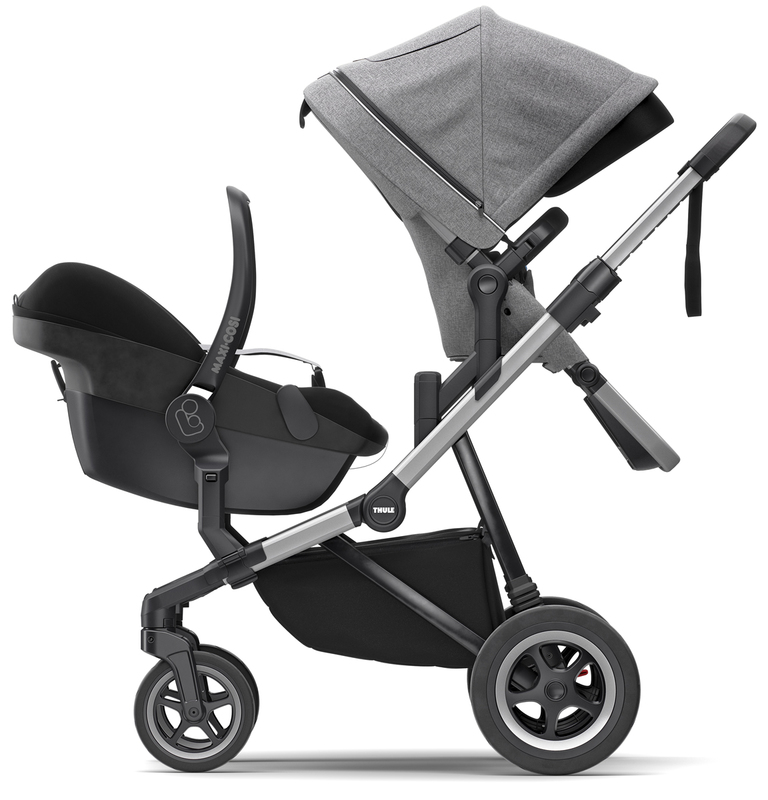 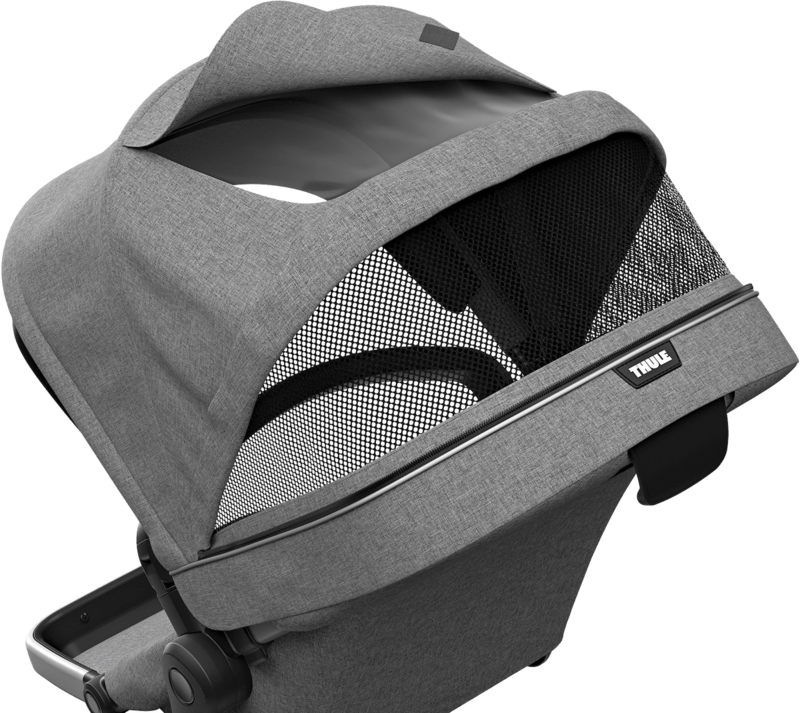 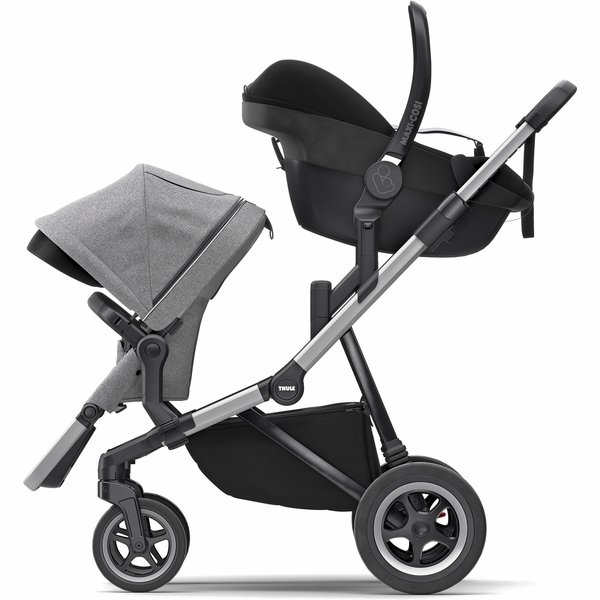 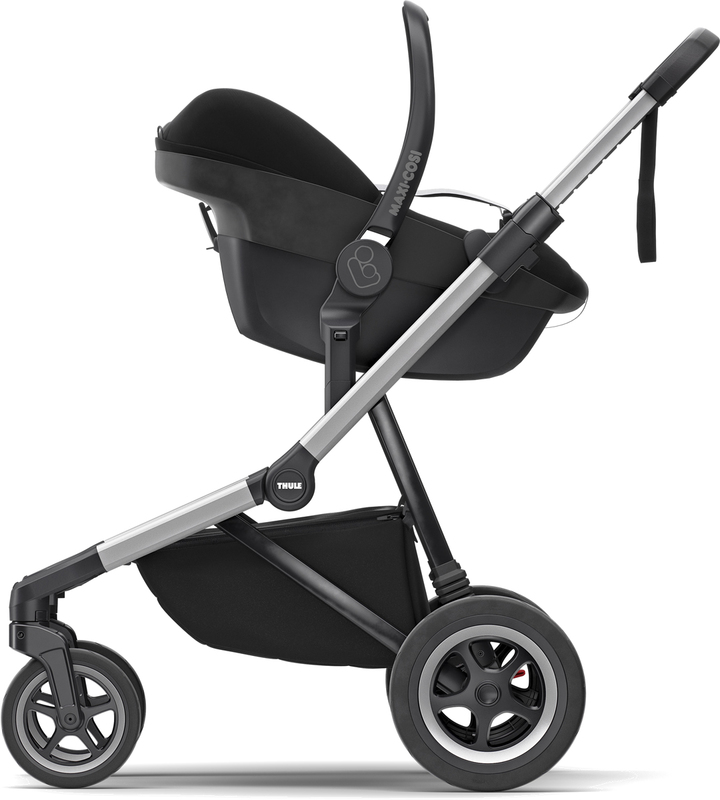 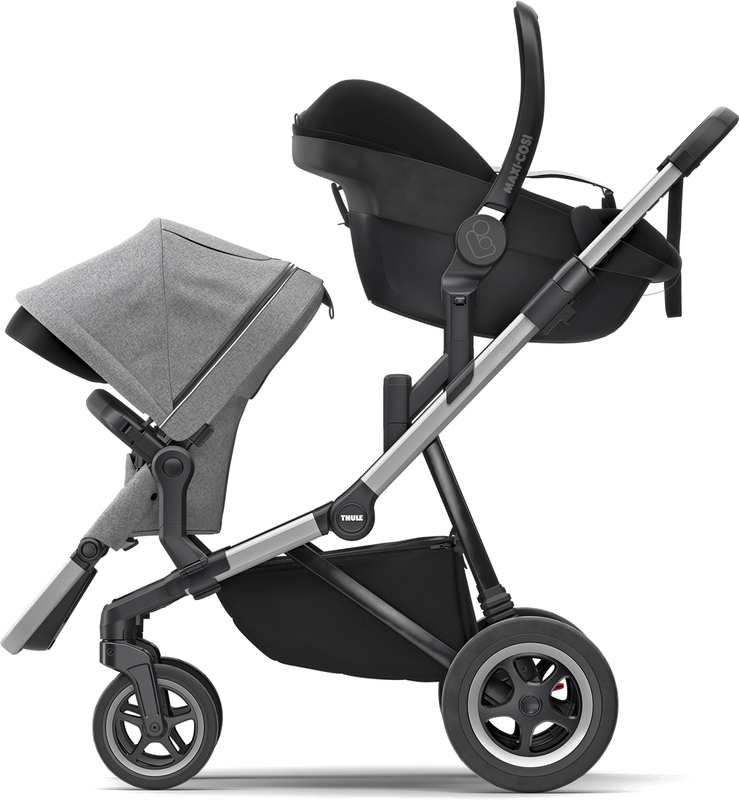 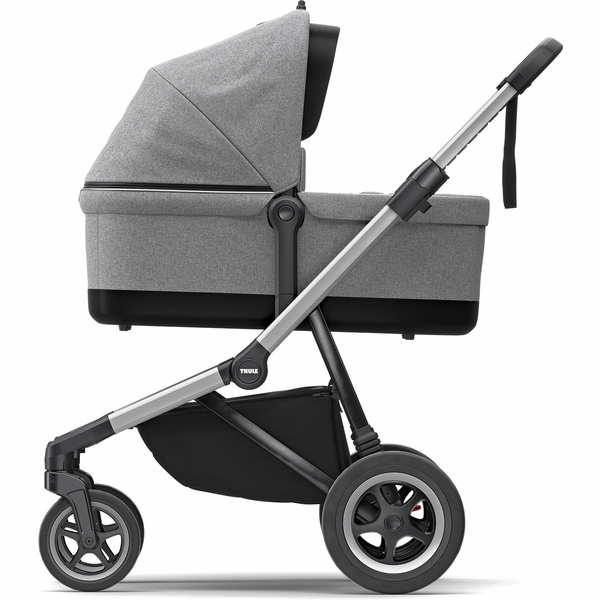 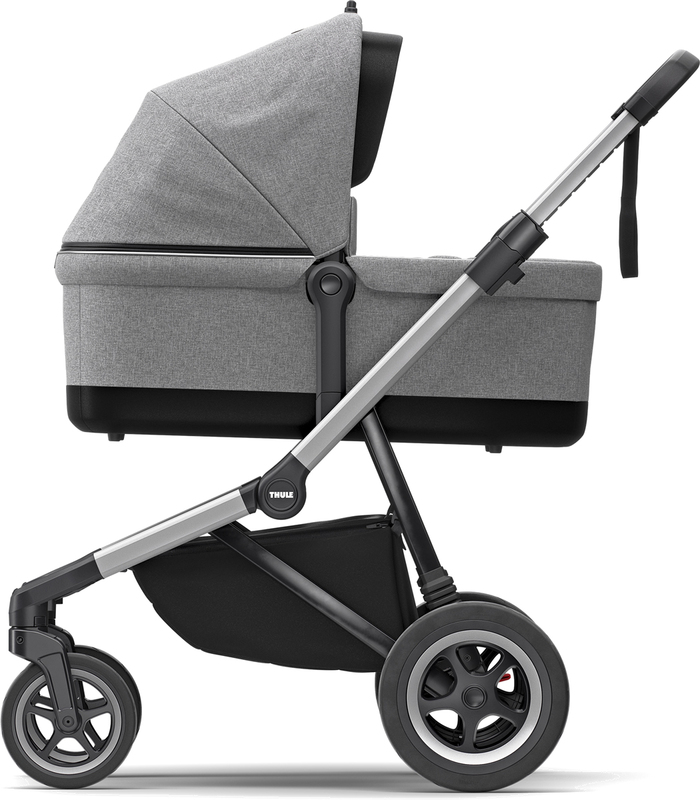 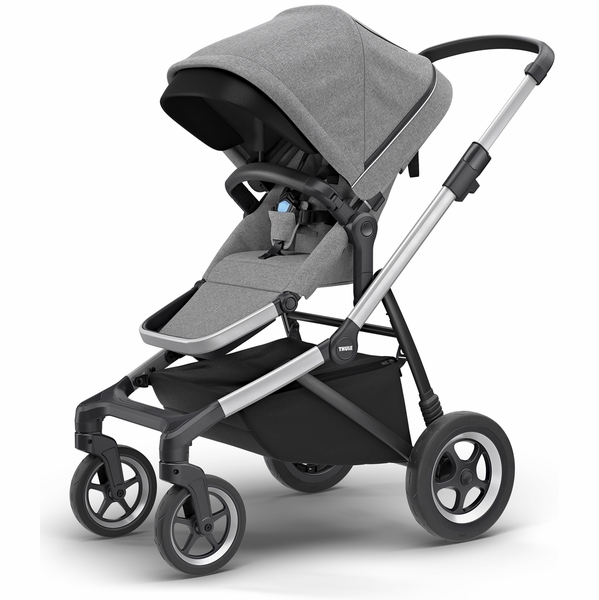 Thule Sleek is a smart, stylish, and safe stroller for urban explorers and their kids. 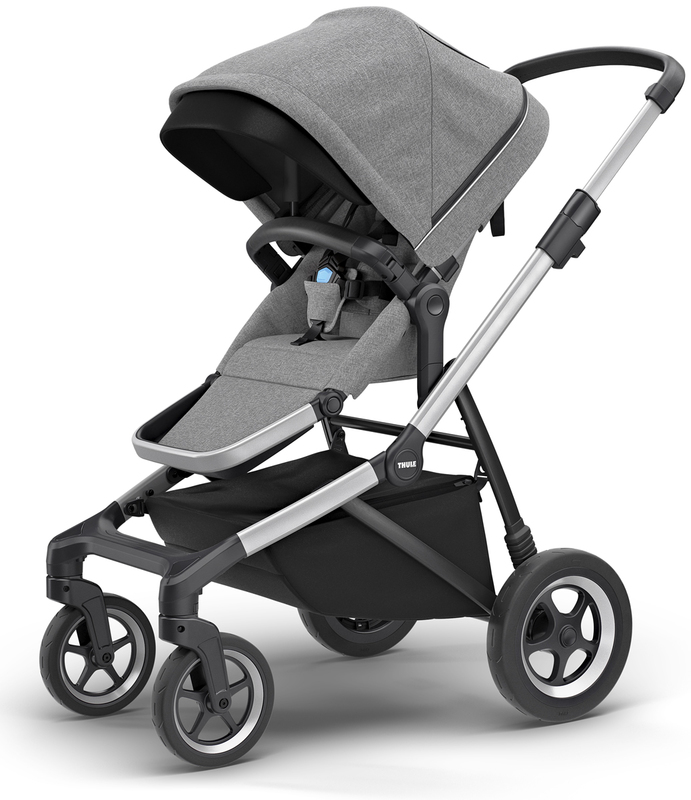 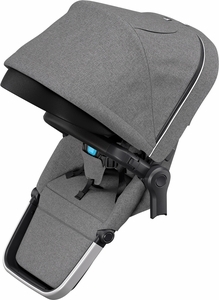 It has a lightweight and contemporary design, outstanding maneuverability, and superior comfort for both parent and child. 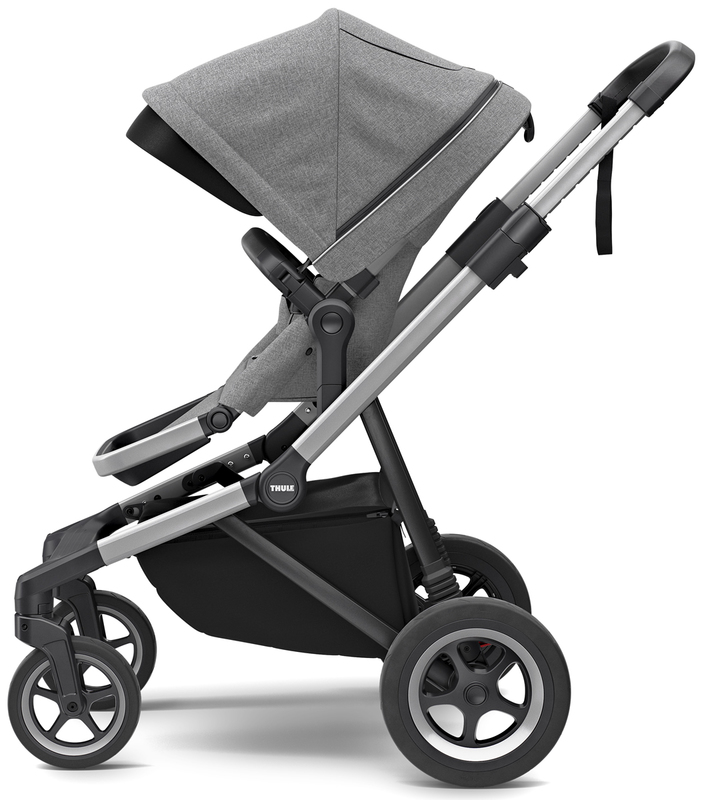 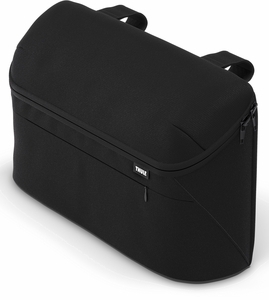 Designed for the active parent, Thule Sleek allows you to move freely through the city. 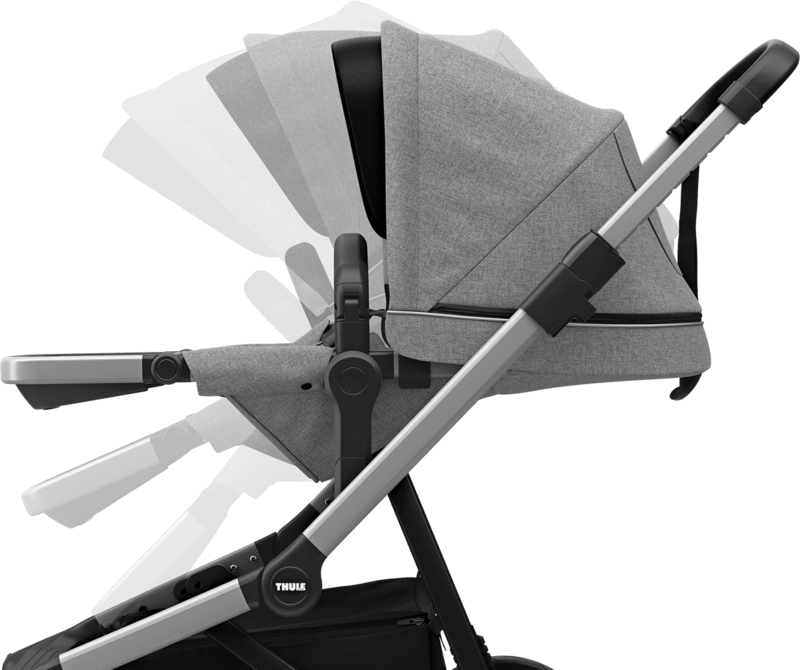 Not one day is like the other, and not one child or parent is like the other. 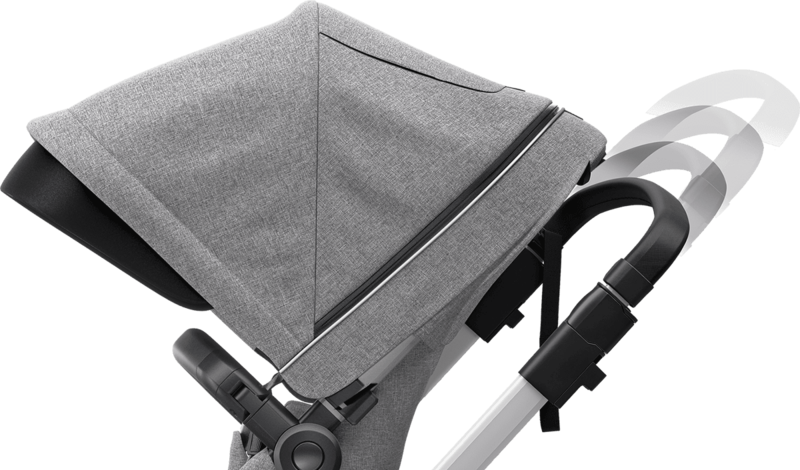 That's why you can configure Thule Sleek to match the needs of your family, from your baby's birth and as your little one grows. 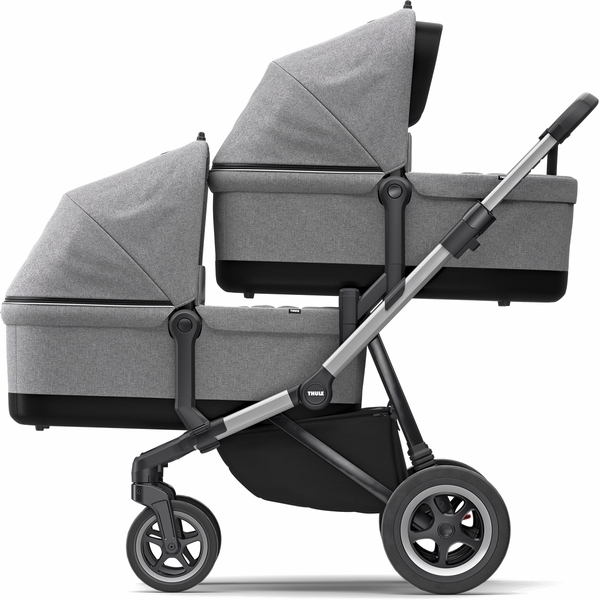 Add a bassinet, a sibling seat, or a car seat, bring one, two or even three kids, mount the seat in parent-facing or forward-facing position - Thule Sleek will simply be the stroller you make it. 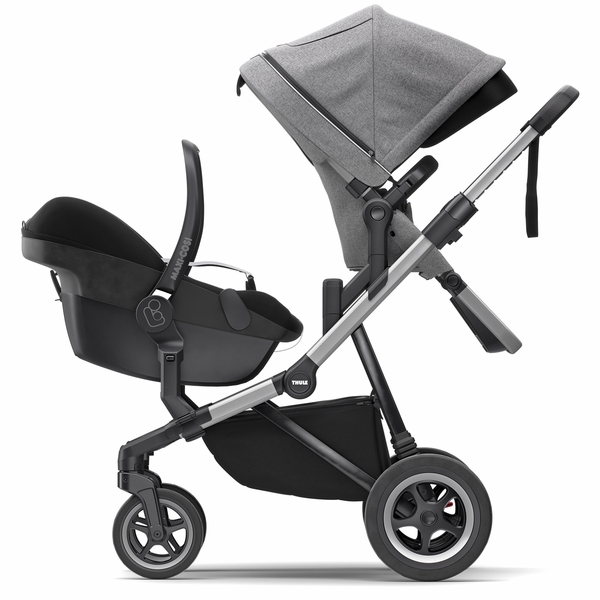 And always with your choice of accessories to make Thule Sleek the perfect match for your needs.